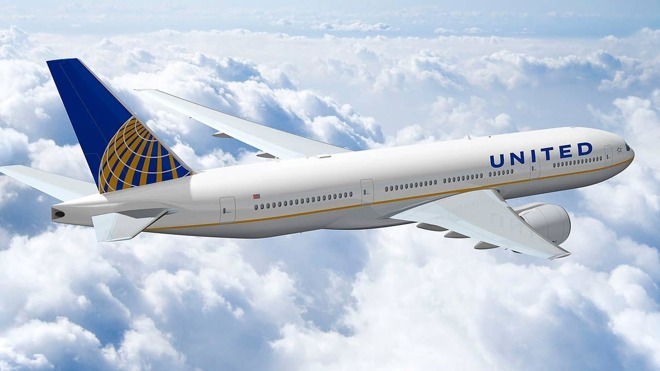 The initiative between the three companies will assist United Airlines to develop apps for better communication, regulate peak customer demands better, and assist in more effective maintenance for over 50,000 devices already deployed, and more to come. Examples given by United Airlines include immediate, trackable communication between maintenance staff and airplane crew, deal with emergent conditions better, as well as aid in vectoring employees to minimize passenger congestion. "A partnership with Apple and IBM gives our app development enterprise scale, reusability, and —most importantly —speed," United Airlines Chief Information Officer Linda Jojo told Business Insider in an interview about the deal. "We're going to be able to deliver more tools and technologies faster to our frontline than we could if we were building it all ourselves." "Our employees are now mobile, they're not stuck behind a desk anymore," Jojo said. "At the gate, we now have an agent that can close out a flight or if there's some kind of problem they can actually issue boarding passes and bag tags right from a printer that's on their hip, and it's all done from a mobile device." United Airlines is leveraging Mobile at Scale for iOS, a new IBM app design and development model designed for the development and deployment of multiple iOS apps. United will also have access to IBM Studios in multiple cities, as well as a dedicated IBM iX team specializing in design, development, and integration with existing enterprise processes. Terms of the deal are not yet known at this time. AppleInsider has reached out to Apple and United Airlines for more details. United Airlines was at the forefront of iOS integration with flight crews. The airline was one of the first to replace pilot flight bags with iPads, and was the first to issue iPhones to other air and ground staff. Apple's collaboration with IBM began in 2014, when the pair launched "IBM MobileFirst for iOS." IBM's MobileFirst Supply and Management program, which supplies enterprise customers with device packages, activation and management services all built around Apple's iPhone and iPad. IBM also offers services like mass device management, security, analytics and mobile integration.